Home \ My Amazing Life Coach! Click here for a list full of services and packages. What is a Creative Success Coach? As a creative coach, I partner with individuals who are seeking to allow their creativity to flow easier and spring forth from the depths of their authenticity. 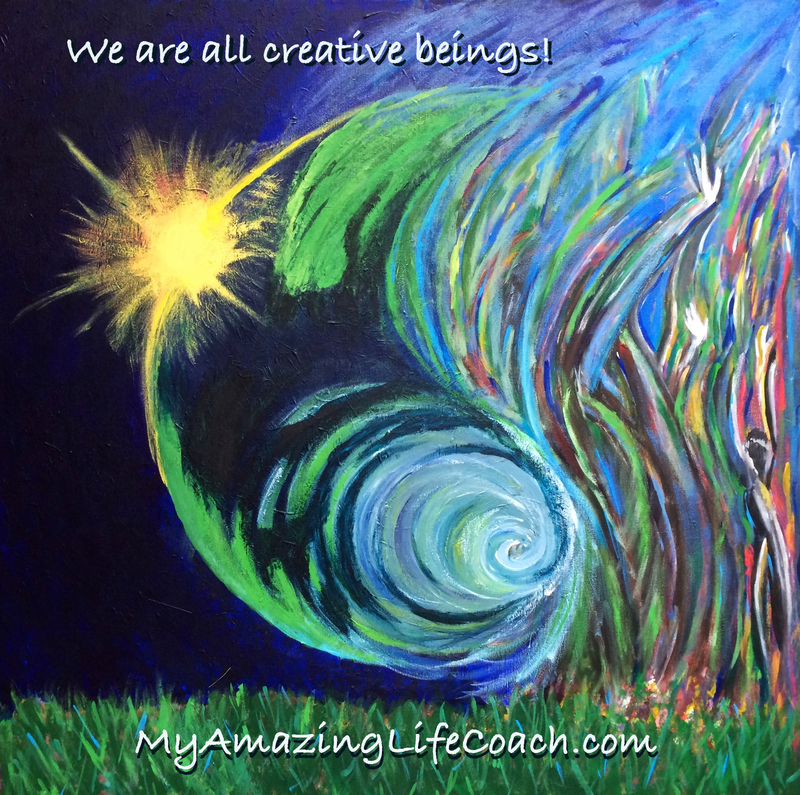 Whether it is an artist, CEO, athlete, parent, etc., we are all creative beings. We can courageously tap into the source that created us and our ever expanding universe. Together, you and I can chart a course for you to navigate the beautiful life you desire and deserve. I get to work with people who want to live the most meaningful life in spite of a diagnosis. Often a diagnosis is actually an inspiration to make new decisions and take directions toward a life that is aligned physically, mentally and spiritually. I believe you have the answers to spark the creativity of wellness within yourself. Together, we can begin to ask new questions to guide you on your new journey. I work with the LGBT individuals who are aligning their spirituality with their sexuality. Many have found that their road to authenticity led them away from the religion of their origin and left them feeling abandoned by a Higher Power. I enjoy partnering with men and women who are self-evolving and are on the cusp of coming out spiritually, bringing with them their own truths and understanding of the universe. If this is calling you, take the step toward your greatness, click here to schedule your appointment.